Eon Visual Media recently filmed, directed and edited the latest campaign for PhD Nutrition, a leading supplement & sport nutrition company. We thoroughly enjoyed getting together and working with PhD again on another project. Following on from the success of the ‘White Choc Blondie’ campaign - PhD got back in touch with us and asked us to help create another campaign video, for the upcoming release of their brand new product - ‘Smart Protein’. 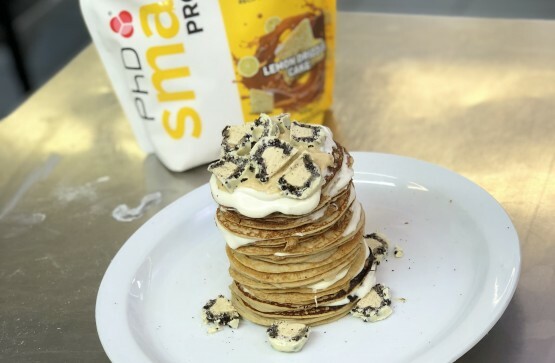 Smart Protein isn’t just like any other protein powder, it’s ‘deliciously versatile’ - with PhD marketing the products at baking lovers! Recognising that fitness and food junkies alike were including their protein powders in their recipes anyway, the nutrition company decided to create a product that was tailor-made with even fancier flavours, to be poured straight in to the baking mix! PhD brought in ambassador and sporting hero Luke Campbell to judge the Smart Protein Challenge, watch the video to find out who takes the cake!